Over the last fourteen weeks we have nourished our energy, flowed to the depths of our support, gathered our energy reserves, reflected on our inner needs, slowed down, connected with our belly, turned inward, made space, restored our energy, cleared our mind, protected our energy and connected with our energy. This invisible life force energy in all of life and nature, known in yoga as prana, sustains you. We have experienced the wonders of this life force energy and restored your connection to that energy over the last fourteen weeks. This ever present natural force is available to your 24/7. The miracle that is our life force energy is always seeking harmony and balance. Because of its likeness and affinity with the original cosmic force, our life force is capable of harmonizing with that original cosmic force. 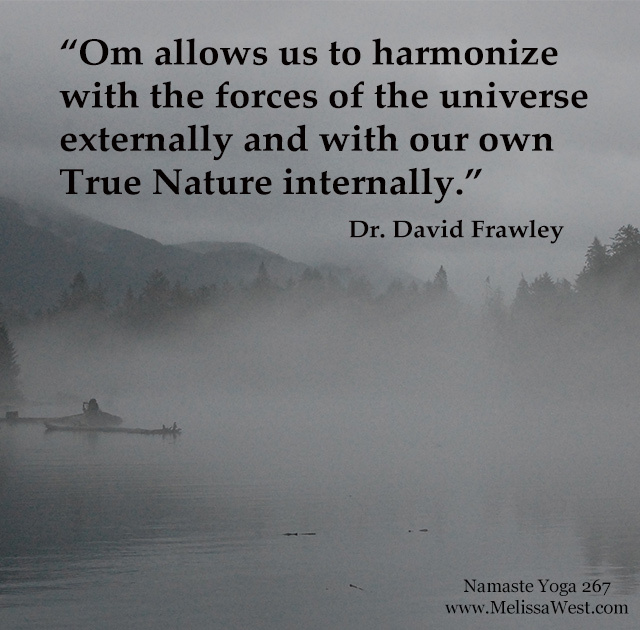 In yoga we know this cosmic force as OM. 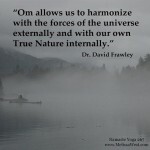 Om is said to attune us with our True Nature and higher reality. When we chant the mantra Om it allows us to harmonize with the forces of the universe externally and with our own nature internally. It attunes us to the cosmic reality and the sacred vibratory patterns that arise from it. In short it harmonizes us, and our energy with the miracle of the purest, most balanced life force energy. When we are connected to our True Self through practices like this such as yoga, meditation, mudras and mantra, our life force energy is strong, balanced and harmonized. The yoga practices we have undertaken over the last fourteen weeks has a strong inward pull that allows us to turn inward, know ourselves and know our energy. As we move through life, these yoga, meditation, mudra and mantra practices support us in making better choices that help balance and sustain our life force energy. Today’s question to answer in the comments is: What’s the greatest benefit you have received from connecting with your energy over the last fourteen weeks.